Mercedes really loves Life and doesn't want me to do it without her so I am not allowed to finish it tonight. We decided that since I have a thing for the really big difficult ones that I will just work on those and she can do life. I will help from time to time and she may help me when the mode strikes, but she wants nothing to do with some of the really big hard ones. So..... I decided to start counting Wedding Feast at Cana tonight. 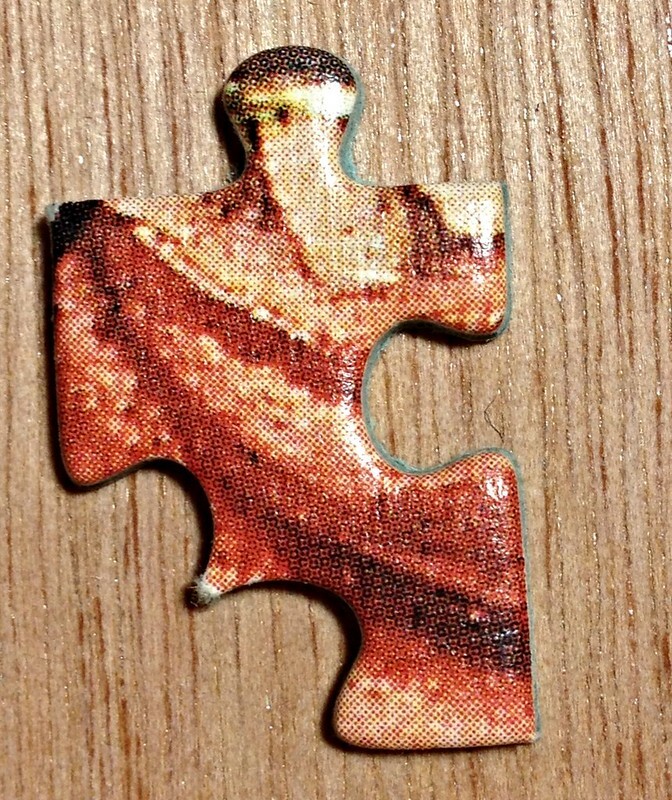 Check out the piece I found! Weird. Is that a tear in the lower left? As if the indents were punched to close together to make that corner very thin? Or is it really suppose to be shaped that way? So I accidentally posted with my husband's facebook up above. Hopefully I got it deleted, but I'm not sure.